So I know I have to make some changes. Its already January 3rd, and I need to get on track if this Chick is going to Italy in 2010. So one of the things that I am going to do to save money is take my lunch to work more often. This neat little trick can be good for money saving and dieting. You should make lunch pretty. You heard me right! 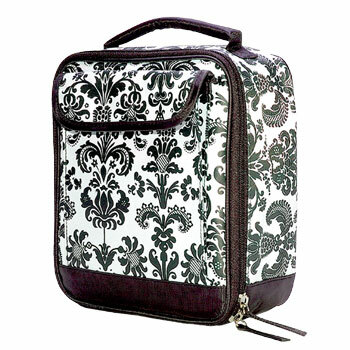 We are going to make lunch pretty with a lunchbox face lift. 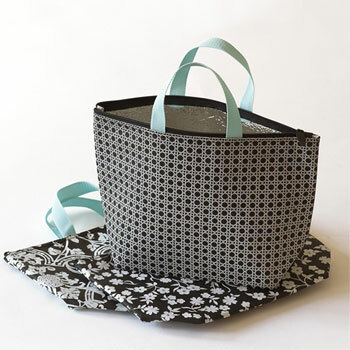 I found so many pretty bags on the web. You can’t go wrong. 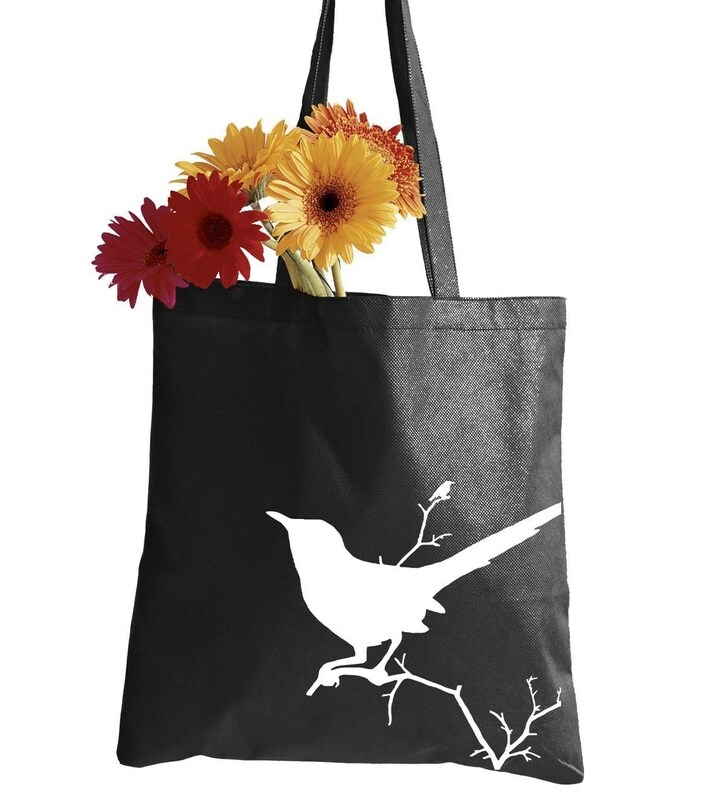 Check out more bags in the Chick Shop. Wrapables, or Etsy. Also here is a list of 5 ways to save money with lunch. Fruit it out: Breakfast is the most important meal of the day, they say, so it’s a good idea to have something hearty in the morning. A health food place near to where I work does porridge for £1 and what better way to start of the day then with those nutritious oats?This gives a slow release of energy which will allow you to carry on for most of the day. By eating several items of fruit throughout the day you can easily skip lunch without feeling hungry or fatigued, as well as boost your ‘5-a-day’ count of fruit and veg. Meet with clients over lunch: My clients seem to love me, and I have a lot of them. Where possible it’s a good idea to meet with them to discuss vital parts of their portfolios and the working relationship between us. It’s good to see clients face to face where possible, as it shows you care. Meeting over lunch is also nice, as it means it’s slightly less formal than in a stuffy meeting room, but more formal than if you had gone to a bar. Sometimes the client will offer to pay for your lunch, especially if you have traveled across the city to see them; otherwise you offer to pay for them and the lunch goes onto company expenses. Who said there’s no such thing as a free lunch? Round Robin with workmates: I’m sure everyone at work will be spending pretty much the same amount on lunch as I do. They go to the same places a lot of the time, and so it does stand to reason (I can make a little money by offering to buy their lunch, taking their cash, and them not bothering about the few pence change they have). Why not arrange with 4 co-workers that you will each cook lunch for each other one day a week? You then go home and cook an extra large portion of something yummy – and probably costing no more than $15 total – and you get to save $15 per week by the fact you do this once, and then eat whatever someone else has cooked. The only problem with this is if someone cooks something you don’t like…such as a horrible curry dish. Stock up on sandwich stuffs: Many workplaces have a fridge that you can keep some stuff in – I know mine does. Grab yourself a loaf of bread, some tomatoes, cucumber, lettuce and cut meat from a local supermarket and you’ll probably find you can spend $10 on food which you can use over 3 lunches. Although this can be boring, especially if you eat the same thing a few days in a row, stocking up on tins of tuna, corned beef, sardines and salmon will offer a bit of variation to the daily routine. Cook lunch and bring to work: The best way to save money over lunch, and to have it varied and tasty, is to cook for yourself and bring it in to work.If you cook a nice risotto, stew or casserole at home – make that little bit extra and put the rest into a tight container to take into work and reheat the next day. It takes very little effort to do this, and once you get into a routine you will be able to do this most days if you have cooked for yourself the night before. Routine is the key for this one, as if I don’t do it often I find that I either leave the extra food at home and forget to take it in for lunch, or that I do take it in to work and put it in the fridge, but forget it’s there by the time lunch comes around, in which case I go out and buy lunch anyway. If you don’t wish to have the same food for lunch as you did for dinner the night before, simply place the excess food into the freezer for another time. 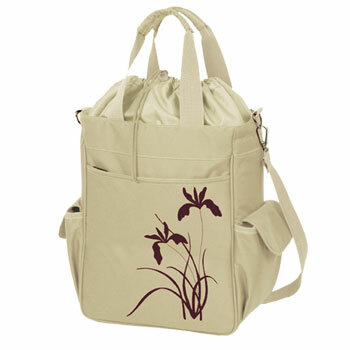 I feel great bringing my lunch it helps me to save money and those bags are cute lunch bags.